Kevin Dalton is a pilot for the U.S. Navy. As a young pilot of F-14 Tomcats, Dalton has acquired the nickname of "Crackers" which he hasn't truly earned but he has come close. He is a darn good pilot but is known for taking chances, one of which comes when he wants to get revenge for the death of this commander. This leads to his personal war against Saddam Hussein, or perhaps more accurately, the war Hussein has with Dalton. This conflict comprises the key element of the series but there is much more than just one man's vengeance. 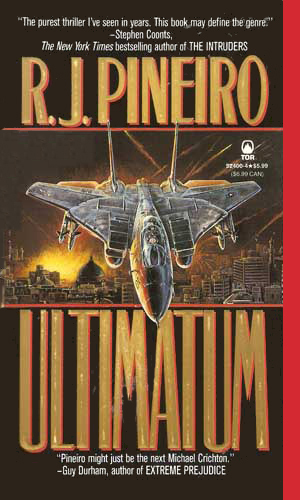 This series is a two-book techno-thriller involving the aftermath of the first Gulf War. Dalton's affairs are but a part of the activities that take place within the pages as glimpses behind the scenes at CIA headquarters, the Pentagon, and the White House are common. There are many elements to the plot lines and many characters who play important roles are introduced and described but Kevin Dalton's role is pivotal and this easily makes him definitely the star of the show. As the series progresses, Dalton moves from being an officer in the Navy and becomes an agent, in part, for the CIA but the action remains in the Persian Gulf and the principal adversary remains Saddam Hussein. Despite the subsequent real-life events, reading this series is still highly recommended. The tension over the volatile region and the attitude of the people who had to deal with them while thousands of miles from home is well captured. The stories feel like they not only could have happened, they very likely might have. Saddam is again acting the aggressor although this time he has acquired nuclear weapons from renegade Russians and is not backing down. As part of the group sent to stop him, Kevin Dalton finds his role even deadlier when he leaves the "safety" of his Tomcat. Now an agent for the CIA, Kevin Dalton is surprised when someone tries to kill him as he is on leave in western Virginia. With the help of a Mossad agent, Dalton learns that Saddam's has grand plans for revenge against the nation that foiled him again, and against the man who was most involved. 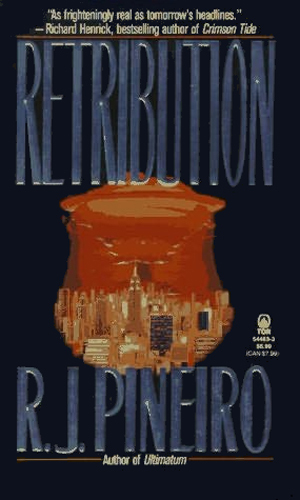 Mr. Pineiro is a heckuva writer, and a prolific one as well with over dozen hefty thrillers to his credit. He doesn't seem to care too much for series as there is only this and one other two-book series in all his adventures. They are fun to read. The Kevin Dalton books were written shortly after the author started but they read as though Mr. Pineiro had been doing it for years. He certainly has a fine grasp of senior officers yelling at junior ones. Or officers yelling at enlisted. Been there! As for the meetings in the Oval Office and such high places, I don't know how realistic they are but Mr. Pineiro had me believing.